Where will the U-20 world cup take you? FIFA’s second largest tournament is coming to New Zealand! We will host the 52 games of the FIFA U-20 World Cup 2015 across seven stunning cities that each have their own character, history and hidden gems. The New Zealand game spirit high as ever! After a successful Rugby World Cup in 2011 and Cricket World Cup in 2014, the atmosphere is expected to be buzzing. Get to know the seven city hosts of the tournament in our quick introduction below. For a more in-depth guide, don’t forget to check out our article: Make the most of the New Zealand FIFA U-20 World Cup 2015. The walk between the Pacific Ocean and the Tasman Sea only takes a measly four hours on the Coast-to-Coast Walk. Find out more things to do in Auckland Region – Guide for Backpackers. Dunedin is famous for its wildlife encounters on the Otago Peninsula, as well as its gotic architecture. Find out more things to do in Dunedin – Guide For Backpackers. A short drive from Whangarei leads you to the Whangarei Falls, which is often referred as the “most photogenic waterfall in New Zealand”. The city is the world’s gateway to the Arctic, with a research centre from many different countries like the US, Italy and, of course, New Zealand. Most Arctic exploration missions leave from Christchurch. For more things to do, check out Christchurch City – Guide for Backpackers. 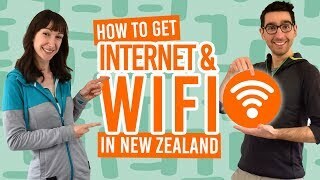 The southernmost capital of the world hides many Lord of the Rings locations in its surroundings, as well as being the home of the world famous Weta Studio that created the digital effects for both Tolkien trilogies amongst many other blockbuster movies. 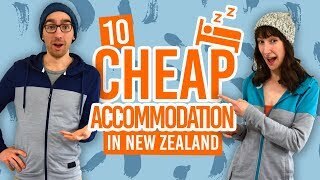 Find out more in Wellington City – Guide for Backpackers.